Do you have any Rosary prayer questions? Do you want to know the origin of the Hail Mary or the Our Father? Curious why three Hail Marys are included in the introductory prayers? 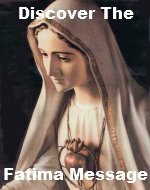 Wondering where the Fatima prayer came from? You are in the right place. 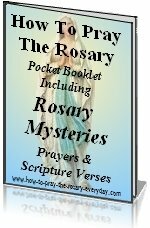 This page of Rosary prayer questions is dedicated to everything about the prayers contained in the Rosary. Browse through the submitted questions - you may find the answer you are looking for. If you have an answer, feel free to post it in the comments section of a submitted question. Your question may already be here - Search For It Here! If you can't find an answer to your question, you can use the form below to ask your own question. We try to answer questions several times a week but can't every day so please allow 5-7 days for your question to be published and answered. We do not have a full team of Apologists or Experts available here so please limit your questions to ones specific to the Rosary. We do our best to answer questions accurately and in line with Church teaching but we are not an authority. Please read our Fidelity Statement. Please do not use all CAPS, it's time consuming to re-format your question to lower case. Get An Answer To Your How To Pray The Rosary Question Here! Are there certain days of the week to say certain mysteries? Praying More Then One Rosary A Day Do I Say The Same Mystery? Can I Learn To Pray The Rosary If I'm A Protestant? Can one pray the rosary while walking or exercising and does it have to be aloud or can it be silent? When do I ask for my pray request when saying the rosary. Before or after? Why Is Hail Mary Said On The Beads? Hello good a.m. Just wondering why we use Hail Mary for the ten beads? Nicene Creed Instead Of Apostles Creed?